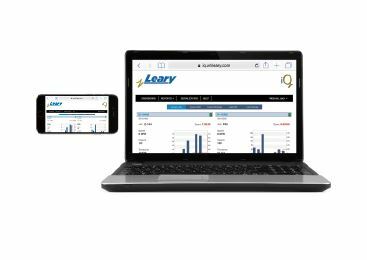 Leary iQ™ Smart Services delivers real time data streams from the production floor right to your browser, smart device, or enterprise management systems for report availability 24 hours a day, 365 days a year. iQ Smart Services is a cost-effective, total-machine-awareness solution for analyzing machine performance, monitoring trends, and providing operational reports. *Microsoft Excel is a registered trademark of Microsoft, Inc.